Supermarine Spitfire Mark XII was the first Griffin engined Spitfire. Produced in limited numbers it served in two England based RAF squadrons in 1943 and 1944 used in intercepting day intruders and subsequently V-1s. 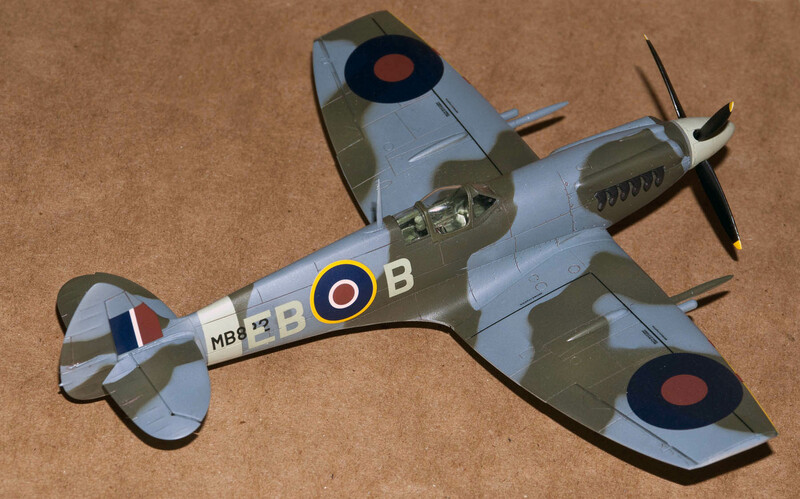 In 2011, Airfix released this mark in 1/48 scale. 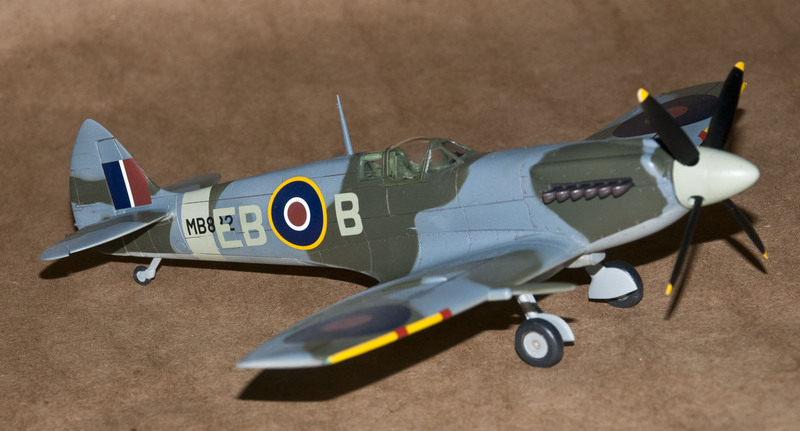 This is first time the Mark XII had ever been produced in a mainstream kit and then began a steady stream of new Spitfire kits coming from a rejuvenated Airfix. The kit is a straightforward build, but care must be taken when installing the interior into the fuselage. I misaligned the interior and did not realize my mistake until after the fuselage and wings were together. The interior spread the fuselage wide enough that the main canopy no longer fit. It was too late to correct this error, as it would have involved tearing the built kit apart. A few months later, I started kit number two. The second time around I paid attention to what I was doing and was rewarded with a very enjoyable build, There were no further complications and everything came together rather quickly. The model was painted with Tamiya acrylics. The interior used their Interior Green XF-71. The exterior used their RAF Green, Ocean Grey and Medium Sea Grey for the exterior colors. I made a mask for the camouflage scheme using a camouflage template from the Tamiya 1/48 Spitfire Mark V kit. The decals came from the Victory Productions Spitfire-Aces of the Empire sheet. My aircraft was from Number 41 Squadron based in Frisdon in 1943. 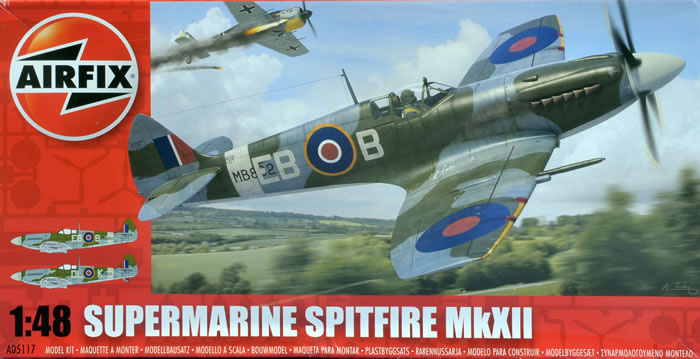 Airfix and Eduard have both gone all out in producing a wide range of Spitfire marks and more are planned, so it is a very good time to be a Spitfire fan.